SYNTHESIS: An exploration of Mastery – its benefits, principles and strategies – enriched with instructive and inspirational biographies of historical and contemporary masters, by modern-day Machiavelli author Robert Greene. N.b., The titles above are as per the book. I’ve used my own short-titles below. Summary – A brief front note giving an overview of the chapter. Story – A biographical profile that exemplifies the chapter’s message. Keys – Review and analysis of the chapter’s principles. Strategies – Practical methods for applying those principles. Reversal – A study of the implications of the reverse or an alternate principle. And the same methodical line can be found within each chapter. For example, each bullet in each “Strategies” section begins with a biographical story before moving onto a more general synthesis of the point. Mastery has one of the most detailed contents section I’ve ever seen in a book. Check it out for a full ten-minute overview (head to Amazon’s Kindle page for the book and click the cover to “Look Inside” for free). I can’t wait to get back to Mastery and read it in more detail. This 3hr Note is a useful placeholder but totally inadequate to convey the exquisite research and detail that Greene put into this book. Because the quality of your mind and brain is determined by your actions in life. But n.b., the pursuit of mastery is not linear, it is constantly changing and shifting. It is the iterative process of bringing your mind closer to reality and to life itself. Intelligence and mastery must be constantly renewed or it will die. Be true to yourself: identify the activities and topics that spark a deep and primal curiosity in you. Then, ignore your weaknesses, direct your energy towards the small things in these areas that you’re good at. Don’t dream big, just focus on the now – on getting proficient at these few things. Use this confidence to explore other pursuits, step by step. Eventually, you will hit upon your Life’s Task. Identify and be true to what you love. EITHER: A specialisation within your field. OR: A non-related but complimentary field you can combine. Commit to your Life’s Task, not a particular position, company or way of doing things. Come back to your path when you have strayed from it, even if it entails sacrifice. Prioritise learning a wide-range of skills that relate to your deepest interests. Settle and focus on gaining proficiency on a skill-by-skill basis. As the learning curve flattens, move on – like a bee hunting for nectar. But be patient: there are no shortcuts to deeply embedding complex skills. And doing so is a prerequisite for real creative activity. Stay humble and be allergic to smugness and superiority. Trust in the compounding power of patient, persistent effort. Move towards resistance and pain, your best-self is on the other side. Get used to failure and embrace it as a critical part of learning. Master the art “what” and the science “how” of everything you do. Try many new things and embrace trial and error – it’s a numbers game. The mentor-protégé relationship is the most efficient and productive form of learning. Seek a mentor that best fits your needs and connects to your Life Task. As the transfer slows, adjust the dynamic or switch mentors. In the absence of a mentor, develop extreme self-reliance. Look for role-models whose example you can follow. Consciously and relentlessly combine books, experimentation and practical experience. Seek mentors but choose them carefully based on your inclinations, Life Task and long-term plans. Welcome tough, honest criticism from your mentor (even if ego-wounding); then act on it quickly and constructively. Be totally open and receptive to your mentor’s teachings, but leave space to incubate and experiment with your own versions. Foster a reciprocal dynamic – keep the relationship alive by inspiring learning in both directions. Fools – those who do not value long-term results, achieved as efficiently and creatively as possible – are simply a part of life. Learn to see and know this foolishness in yourself, doing so will let you see, forgive, control for and rise above it in others. This skill will help you avoid being side-tracked in draining distractions on your journey to mastery. Involve others in your projects and always work with your audience front-of-mind – social agility is a critical ingredient in all fields. Master and take pleasure in crafting your outward appearance and persona carefully and consciously. Put yourself in other people’s shoes and take full responsibility for negative social outcomes – however you feel about them. Suffer fools gladly by recognising your own limitations and the fool inside yourself. Be bold, creative and experiment with your skills as you emerge from apprenticeship. Avoid complacency, examine problems from all angles and continue to expand your knowledge. As you approach mastery, transcend the rules and limiting duality that defines much of reality – embrace originality and chaos. Do so without embracing the romantic cultural myths around creativity – creativity demands mastery, and there are no shortcuts to mastery. Have the patience to master the basics – they are the foundation of your unique authenticity. Go after great opportunities instead of fixating on great goals; find them by reading and thinking outside of your field. Get hands-on with (test and use) anything you create or design; evolve and iterate it slowly, over and over until it is awesome. Start creative projects with an open mind, feed them knowledge in and beyond your field, tinker constantly and embrace slowness. Transcend outdated norms by looking inward first, then using your expertise and discipline to express something in an original way. Break repeatedly free of the detail by making mastery a means to a greater end – a big picture idea or inspiring goal. Remain open and adaptable to new, unexpected ways of looking at things; creativity and adaptability are inseparable. Be wary of abstract simplifications; reframe from many angles to get closer to the complex details of reality. Explore and embrace unconscious and contradictory parts of your personality and in the world at large. 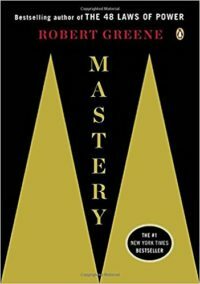 The ability to attain mastery isn’t the privilege of a few, it’s what our brains were designed for. Doing so in any field brings us closer to nature, it alters our view of reality and grants us insight into universal truths. But even more powerful is to meld masteries across multiple fields, combining cross-disciplinary concepts in new, transformative ways. So aim for mastery, but don’t stop there – strive to extend your own knowledge always further and further out. Connect deeply to your environment by eliminating distraction and mastering mindful observation. Know yourself then identify and focus on your strengths (even if they’re unusual); accept mediocrity in the rest. Break skills down, master their components, build them back up – the key to mastery is tenacious repetition and practice. Slow down, absorb and master the details and minutiae – you may produce less, but what you produce will be more. Broaden your mind and dissect your work by coming frequently reframing it in the context of overall purpose and long-term goals. Let go of your “self” and have the courage to think from inside others, both mentally and by experiencing their worlds. Never stop learning – extend you mastery as widely as possible. Gald you enjoyed it, Prakhar. I’m looking forward to going back over Mastery, even if Greene is generally a little Machiavellian for my taste.